The physical, analog nature of vinyl has long appealed to the DIY crowd. 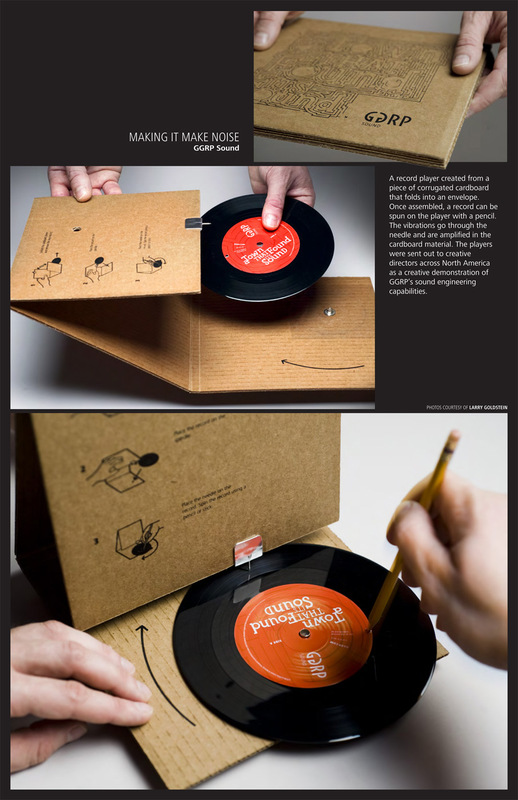 This cardboard record player capitalizes on that to create a direct mail marketing campaign that people appear to actually enjoy receiving. “It’s actually shocking how good the sound quality is,” said Geoff Dawson, associate director at Grey, adding that it took a long time to play with different materials and designs to get the audio just right.